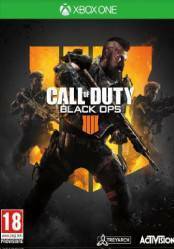 Warning: This version of Call of Duty: Black Ops 4 for Xbox One may be available in different versions and formats. If it is a physical version, once purchased, you will receive the game in its box at home after a few days. If it is a digital version, it may be available in code format or in account format. Both formats may have different regional locks and activation methods, so we recommend that you pay attention in each store. Call of Duty: Black Ops 4 is another great title expected for 2018 and after three years of development, as confirmed by Treyarch sources, many factors will differentiate this fourth Black Ops release from the rest. For the moment, we know that the campaign for a traditional player will be replaced by a Battle Royale version, which would be a novelty in the franchise. This addition would cause Black Ops 4 to focus 100% on multiplayer or PvP mode. It will also continue to maintain the essence of the franchise with frantic multiplayer combat, as well as all the subsequent DLCs that will introduce new multiplayer maps and weaponry, as we saw in the previous Call of Duty. The Battle Royale mode will be called Blackout, and will seek to offer "an all-out combat experience". i like how you can spin to try to get a free game. thats awesome i have never saw any site like this before and recommend everyone who either dont want to pay or pay less to come here. This Makes Black Ops 4 Too Easy! COD BO4 Flawless Gameplay!